We are proud to announce that the Bowman Residence (Greenbelt Homes) won Best Green Home in the Home Builders Association's MAX Awards this year! 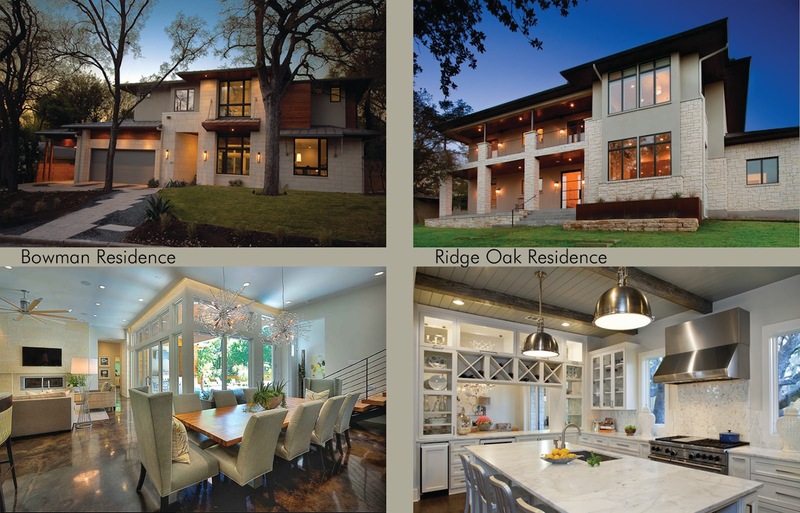 We also designed the Ridge Oak Residence (Clint Small Custom Homes) which won Urban Infill Project of the Year! See a full list of the winners here. What better way to spend a beautiful Saturday afternoon than out by the lake?? Check out the newest offering in the luxurious Reserve at Lake Travis! 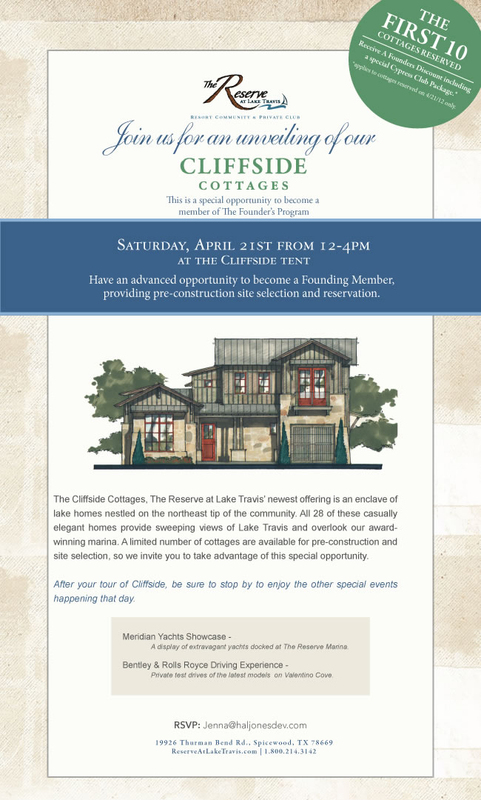 They will be unveiling our Cliffside Cottage designs at their upcoming Founders Event this Saturday from noon to 4pm! If you haven't seen the latest issue of Luxe Interiors + Design Magazine, check out pages 196-207 (page 215 in the digital edition below) to see a featured article on our Spanish Oaks Residence! 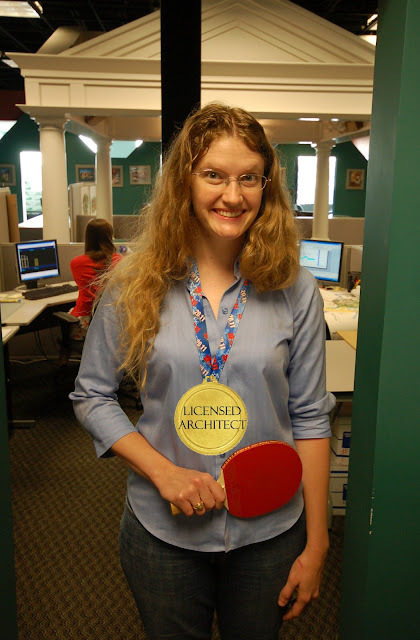 Which is why we are proud to announce ANOTHER officially licensed architect! That makes two in one week!! 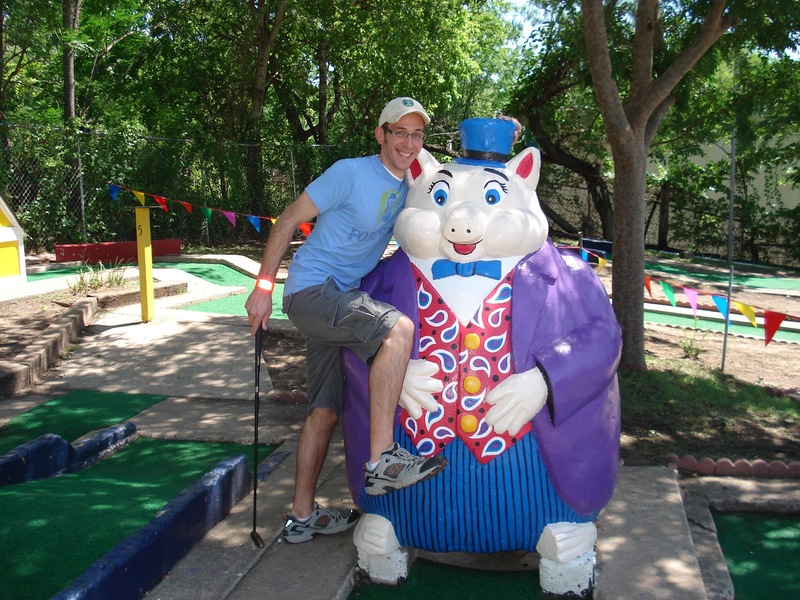 Congratulations to Adam Steiner, one of our Senior Project Managers, for passing his final architectural exam! 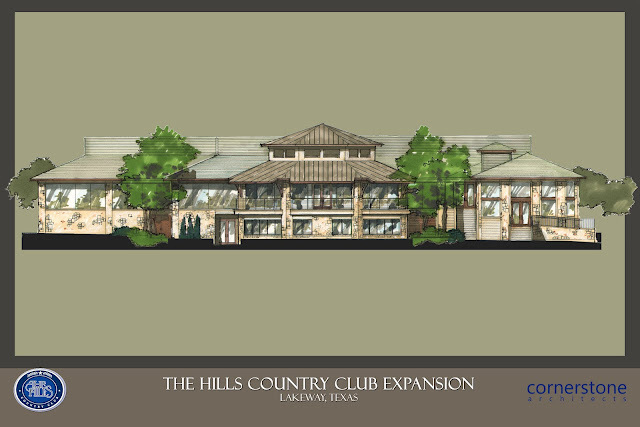 New and Improved Hills Country Club! Construction is officially underway...can't wait to see the completed project soon! Check out the article in the latest issue of the Community Impact Newspaper! We love Houzz lately! Here is a great feature article they did on our Spanish Oaks Residence project!